That's right! Some of our best servers will now be combined! The most powerful heroes in each server will now have the chance to duke it out! Don't forget to check your characters! Unfortunately some characters may be lost in the merging process. To prevent your character from being lost, make sure you fulfill at least one of the following criteria. Be lvl 55 or higher. Log in within the last 10 days. 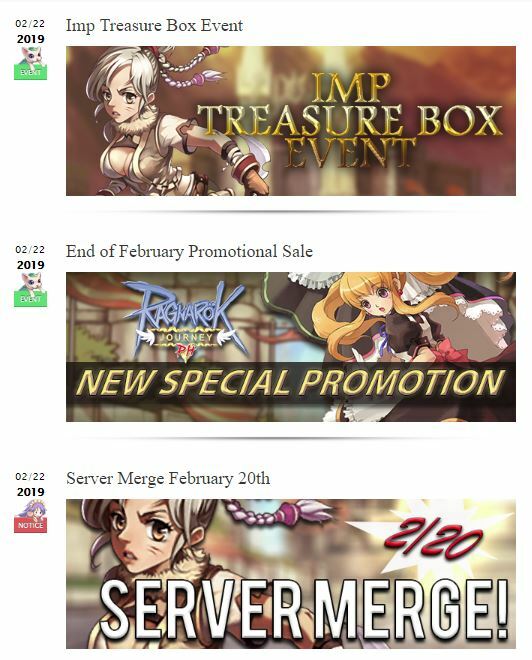 The merged servers will also be treated to some cool events! Login every day to receive special rewards and fight event bosses for incredible loot! Log in every day to receive the following rewards for the next 7 days! Charging Diamonds will earn you the following rewards for the next 7 days! Monsters are swarming into Payon! We need the most powerful heroes to clear them out and earn some sweet rewards! The event lasts from 16:00-17:00 everyday. Players over 50-level can attend. For the next 7 days, the most powerful bosses in Midguard are gearing up for all out war! Band together with your guildmates and take them down! We'll see you at the top of the leaderboards! Edited by Tirfing, 27 December 2017 - 02:47 PM. When will start the Merge? HOW ABOUT THE other servers?? when will they merge.. our channel is down to 2, sometimes 3. You' re not fixing the issue and preventing server hoppers, Then you guys keep on creating new servers. Could you please merge servers 30 below..Every time you guys launch a new server there are some who move out. It's just the same banana..
At most each server has maybe 4-5 active players. You do realize this right? It's completely ridiculous that all of the servers haven't been merged multiple times to make up for the lack of players. 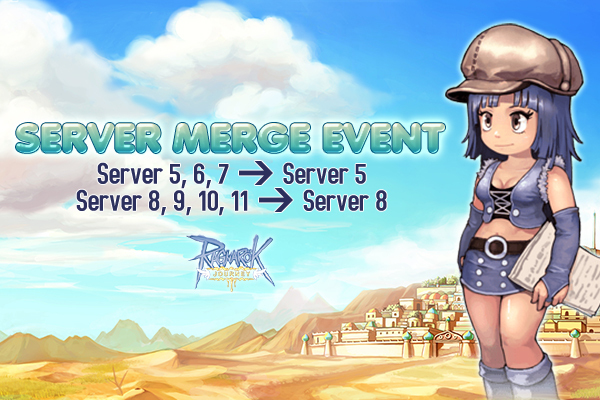 How come Ragnarok Journey PH is so updated? While the international is not? while players is donating / charging too much money here than the PH server. Sorry for the harsh words but thats how I felt ( I guess others too ). They closed 2 games last month or so.. plenty of GMs with no jobs should come over to ROJ and assist and fix issues. will be? I think it's difficult, but let's hope, because unfortunately the ROJ is drifting, abandoned the impression I have is that the server will close. Eles fecharam 2 jogos no mês passado. Muitos GMs sem trabalho devem vir para a ROJ e ajudar e consertar os problemas.